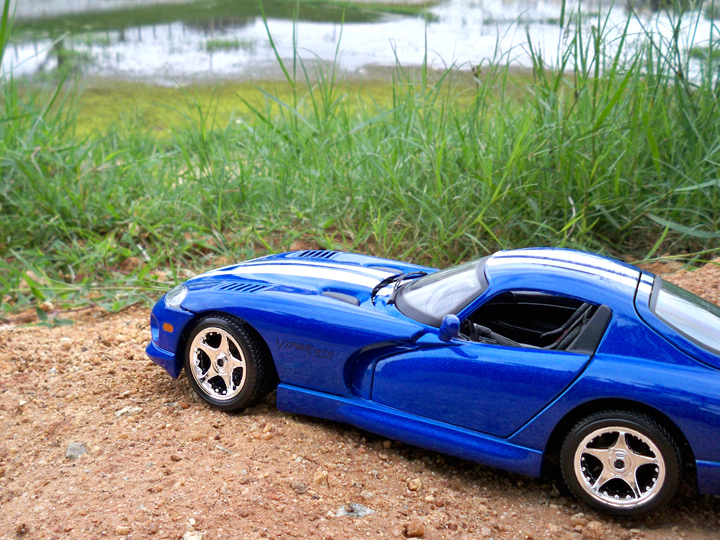 The Dodge Viper is a V10-powered sports car made by the Dodge division of Chrysler. 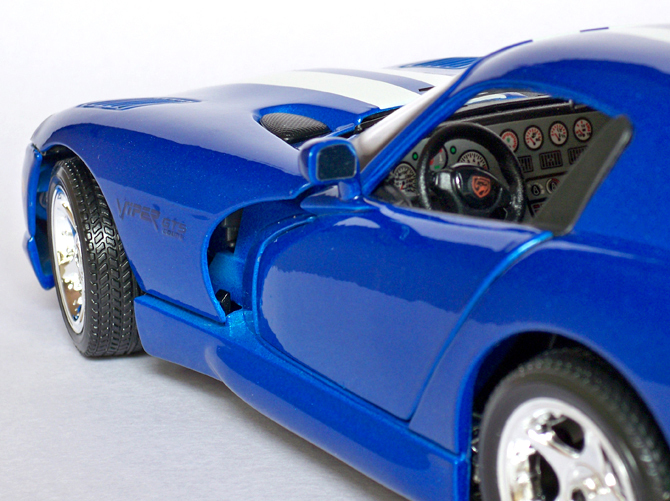 The Viper was conceived as a historical take on the classic American sports car. The iconic AC Cobra was a source of inspiration, and the final version of the Viper bears this out with its powerful engine, minimalist straightforward design, muscular and aggressive styling, and high performances. 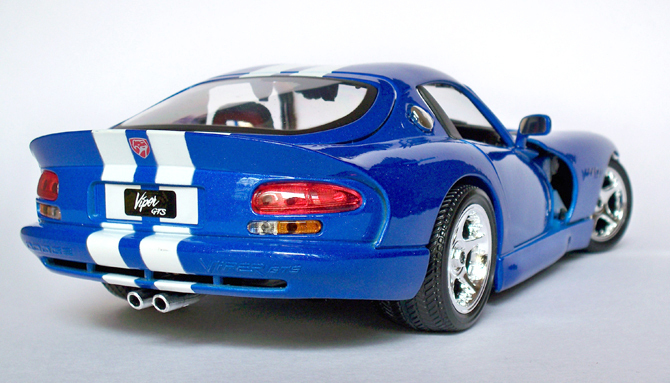 Carroll Shelby was heavily involved in the initial design of the Viper, and this Viper GTS coupe also. 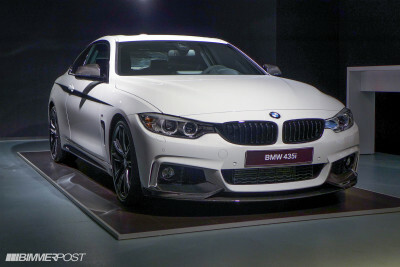 A coupe model called the GTS was introduced in 1996. Dubbed “double bubble,” the roof featured slightly raised sections above each seat to accommodate usage of helmets, a throwback to its intended purpose. 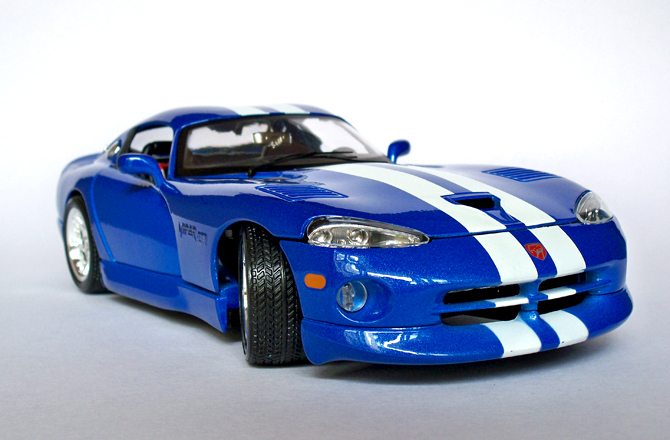 Vipers can be seen participating often in drag racing and road racing. The GTS, like its predecessor, was chosen as the pace car for the 1996 Indianapolis 500. The profile of the car is very well captured in this scale and alloy’s chrome wheel are fantastic but way too much glitz than the real car, but I like it as it flashes more light under spots. 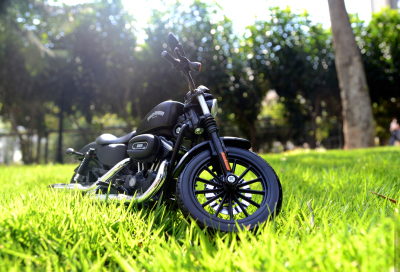 The tires have a very nice and deep tread pattern with gives it a very macho look on closer inspection. This being a budget model features all the basic features like functional steering system, doors, hood and boot. The door hinge is unconventional and very innovative to coupe-up with the door design, it is also spring loaded so gives it a little notchy sound when been shut. 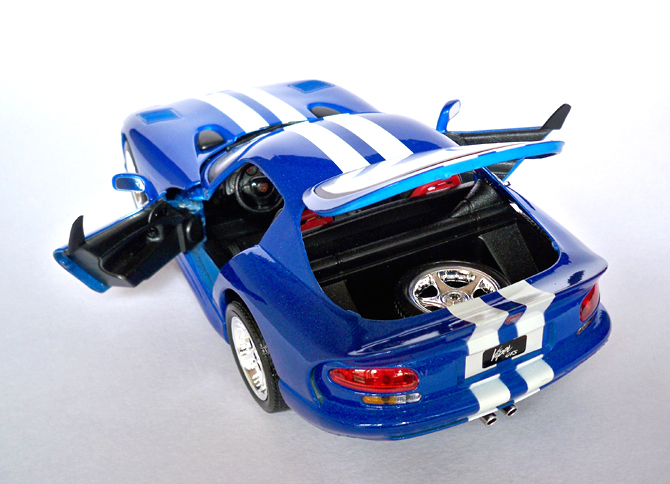 The other important and notable feature is the inclusion of a spare wheel though not removable but works very nicely in teams of bringing up the good look underneath the body. The interiors have nothing to shout about but the red seat belts and the red back lining behind the seat is kind of smart detailing. The dials and the instrument console is one single sticker which is kind of disappointing. The seats are made of black plastic so as the interior gives this car a dull feel, but the floor texture with the viper logo on it is a classy touch. The engine bay opens up and exposes that massive V10 engine finished in chrome, red and black just stands out. 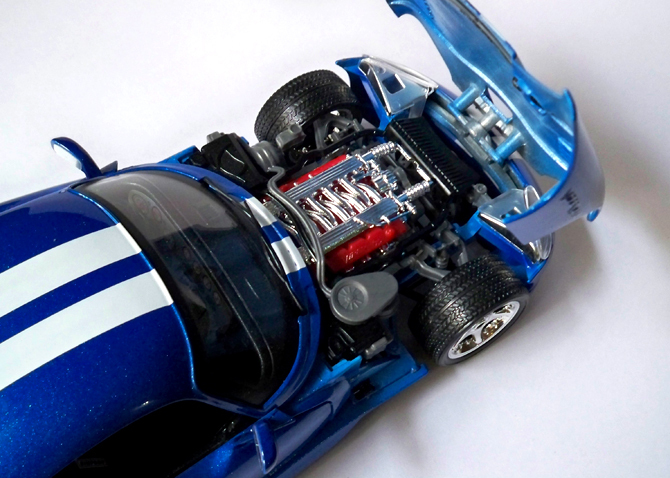 The under body of the car is also very detailed with the exposed crank shaft in aluminum finish. 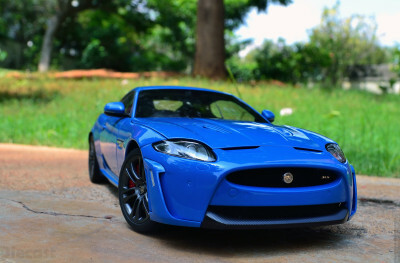 I would say Bburago has done a very good job in this car, for a budget model you cant ask for anything more! At Rs.1300 I am very happy for adding this muscle car with quite a history to my collection.